A little boy opened the big and old family Bible with fascination, he looked at the old pages as he turned them. Then something fell out of the Bible and he picked up and looked at it closely. It was an old leaf from a tree that had been pressed in between pages. 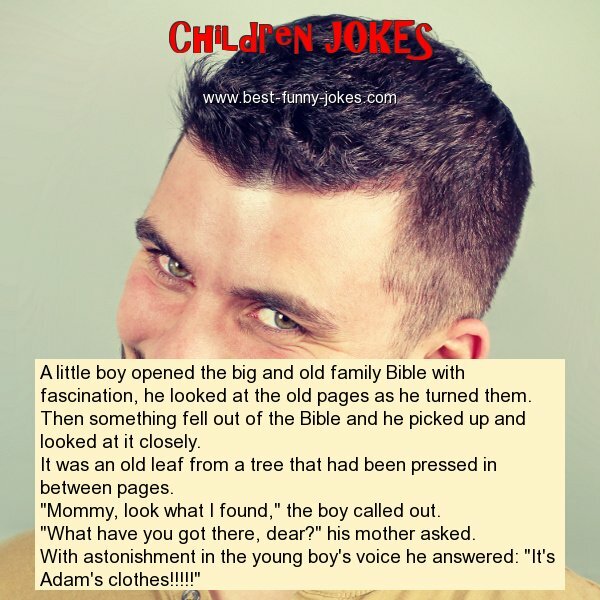 With astonishment in the young boy's voice he answered: "It's Adam's clothes!!!!!"